OK, in full disclosure, I have to admit I never liked The Carpenters. I grew up in the radical decade of The Sixties and worshipped Jimi Hendrix, Jim Morrison of The Doors, and Janis Joplin. I have never gone with my buddy, The Tom Cat, now back in the States, Papa Duck, or my asawa to sing karaoke in Guimaras, our island provincial home, without someone belting out one or two (or more!) songs by The Carpenters. Alas, The Tom Cat’s true love, LenLen, was guilty of this. Sweet girl but, The Carpenters, come on! In fact, if memory serves me correct, Papa Duck’s Asawa Anne sang a Karen Carpenter song during their visit to Guimaras in May. 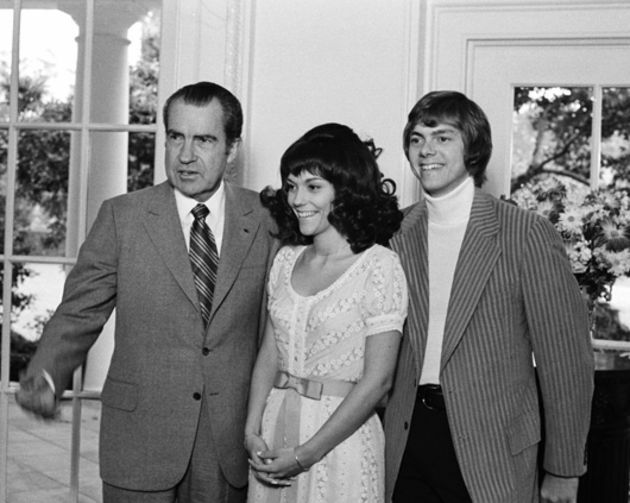 Nice lady, but again, The Carpenters? And you can bet that when my wife got together with her Filipina friends back in the States and cranked up the ol’ Magic Sing, I would be subjected to a ton of songs by the saccharine sweet duo. I don’t know. I just wish Karen Carpenter songs would be banned from karaoke bars in the Philippines because no matter how many bottles of San Miguel Pale Pilsen I consume, whenever I hear “On Top of the World,” it still irritates me. Won’t happen? You never know. Maybe I could start an online petition on Facebook and get her songs banned. Look, Frank Sinatra’s “My Way” has been banned in some KTV’s in the Philippines. It’s reported that at least six people have been killed in karaoke bars after singing Frank’s signature song. Some got snuffed because their attacker said they sang off key. And you thought I was harsh. I’m with you, Rease! 😎 Stop the madness! Luckily Anne doesn’t sing Karen Carpenter on the Karaoke I got her at SM or I may have regretted it. Nothing like listening to Led Zeppelin, Aerosmith, Black Sabbath or Boston while drinking some cold SMB. Enough said lol. You’re a lucky guy, Papa Duck, those other bands you listed sound pretty good to me. Top of the World is one of my favorite songs to sing and one of the even fewer I’ve been known to sing (more or less) Karaoke. I didn’t really follow The Carpenters, I was listening The Statler Brothers, Marty Robbins, George Jones, Barbara Mandrell, Loretta Lynn .. well you get the gist. Here at home they still sing “My Way”. No fights yet. For some reason these relatives like a lot of that era music. I know what you mean as I went to see Boston years ago in California. Every party we go to here has a lot of food and way too much singing. When I was last in the Philippines we were always singing the house of the rising sun–the song of every garage band when I was a teenager in Northern California. For fun we have been having garage sales–sold most of my power tools and lots of there junk from the garage. 120 volts would not do too well plugged into 250 volts. Still too much junk left over where did it all come to be in my house.. You thought your thought process was on a ramble how about me..lol. Don M, I always sing “House of the Rising Sun,” also. It’s one of the songs I remember from my high school years many, many decades ago. I wish I would have brought my 18.2 Craftsman Cordless drill and the two batteries, however, because I could have recharged the batteries with my automatic voltage regulator I purchased a couple of weeks after we arrived in the Philippines. That drill would have come in really handy here. I kept the drills (sold the drill press) but sold the old skill saws and my trouble light on a cord–hope to sell a lot more junk over the next two years even sold a smoker that I got from work and never used. Two people and a 2000 sq. ft. house which is loaded with junk which I don’t want to pay 80 dollars a box to ship. Just hope the neighbors don’t freak over all the sales–lol!! A few ridiculously detailed items about all this. First, Mozart wrote opera parts for true contralto voice and could never find one. They are quite rare. Contralto in its purest form is a female voice of extremely low pitch. The applause for female voice range is usually limited to the upper registers, like Julie Andrews. Wide range soprano. Karen Carpenter was a wide ranged contralto. This is a very rare instrument and the orchestral music people knew it for what it was. Another tidbit . . . A&M Records was the label that thru its history produced huge names in music that frankly might not ever have bee heard otherwise (check their wiki to see list). A&M would never have survived without The Carpenters. They were teetering in the late 60’s and then along came the amazing cash cow that those two were. So . . . if you like The Police, thank Karen. Well, Owen, thanks for the information. And thanks to Karen, wherever she might be, because I do like The Police. Her range much in evidence 1:45 to about 2:20. Thanks for the links, Owen. I did check them out and quite a difference between the first and the last. 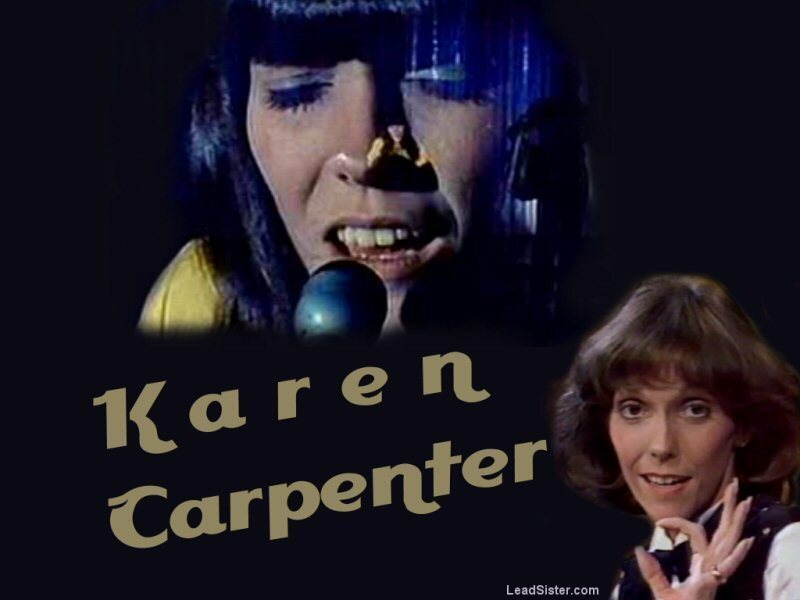 There is no doubt that Karen Carpenter had an exceptional voice. I noted the Baldwin piano in the first video. My Grandmother, who passed away many years ago, taught piano (including yours truly) and violin. Grandma had a Baldwin piano and that shot brought back some memories. My lessons? I started at age 8 and the lessons continued for a year until my Grandmother was stricken with her many bouts of cancer. She hung on for 30 more years but I, regretfully, did not continue the piano lessons. When I think The Carpenters I always remember the movie Tommy Boy because in one part of the movie they sing one of their songs cause they don’t want to change the station. Karaoke on the other hand not really my thing, but with a little liquid courage I could see myself serenading the ladies With Odin On Our Side by Amon Amarth. I have until April to nail it,hahaha. Amon Amarth, one of my favorite death metal groups, Art, but I would never attempt any of their songs on karaoke night, I just don’t have the pipes for it.